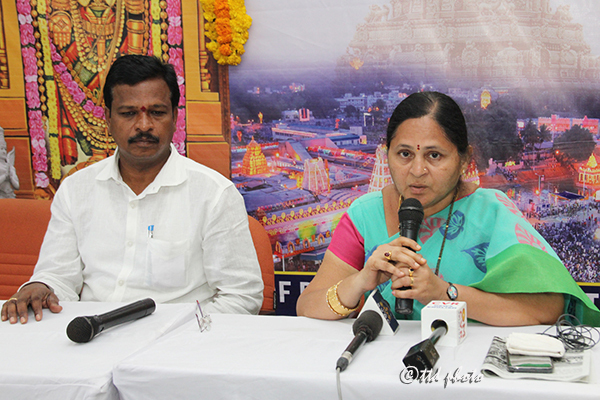 TIRUMALA 18, SEPTEMBER 2018: Keeping the health concerns of the large gathering of devotees for the annual Brahmotsavams, a record number of 2500 sanitary workers have been roped in to clear the garbage in three shifts, said Dr .S Sharmitsa , Health Officer of TTD. 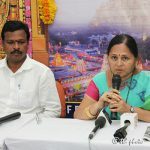 Addressing the media persons in media centre at Tirumala on Tuesday, Dr.Sharmista said, 800 persons have been deployed to provide drinking water etc. to devotees sitting in the galleries of the Mada Streets for witnessing the Vahana Sevas. As many as 41 permanent toilets have been set up the four mada streets and some more will be added by the time of Vaikunta Ekadasi, she added. 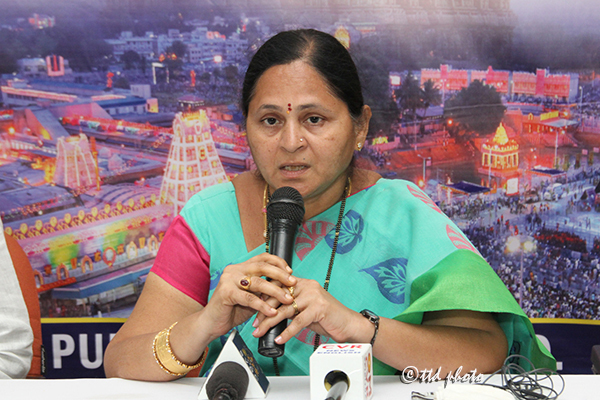 She said during the Garuda seva day nearly 6 lakh water packets were distributed to devotees in the mada streets. Laddu Prasadam, Annaprasadam and drinking water were tested for quality before distribution by a senior analyst. 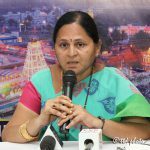 The roads and all courtyards of the Tirumala shrine were cleared on an hourly basis and garbage was sent to the dumping yards, she said. About 90 tons of waste per day is being cleared during the ongoing Brahmotsavams. ISSUED BY PUBLIC RELATIONS OFFICER, TTD, TIRUPATI.